The Dodgers broke the record. The Dodgers added Clayton Kershaw to their active roster today so he can start against the Miami Marlins. As a small but historic footnote, the Dodgers set a record in the process. To create room for Kershaw on the 40-man roster, the Dodgers recalled right-handed pitcher Carlos Frias from Triple-A Oklahoma City and placed him on the 60-day disabled list. The Dodgers now have 28 players on the disabled list this year, surpassing the 2012 Boston Red Sox for the most by a team since 1987. 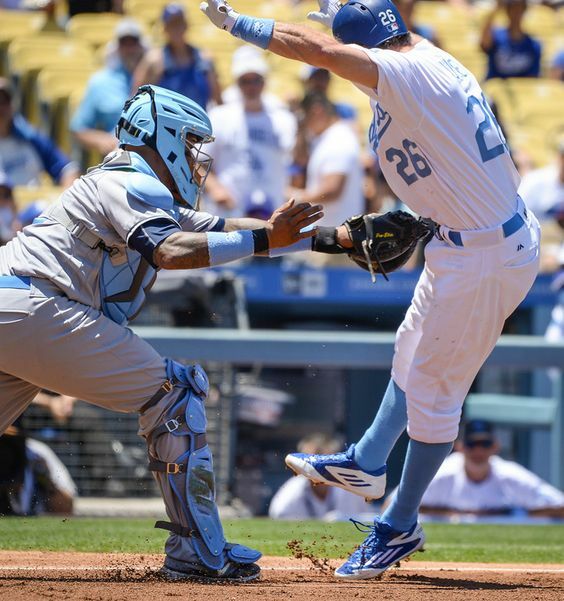 The Dodgers have lost more man-games to DL stints this season than any major league team. Dodgers add Carlos Frias and Hyun-Jin Ryu, excommunicate Luis Avilan and Will Venable. Hyun-Jin Ryu will make his 2016 debut today against the San Diego Padres. The Dodgers will have 14 pitchers and a three-man bench when they face the San Diego Padres today. 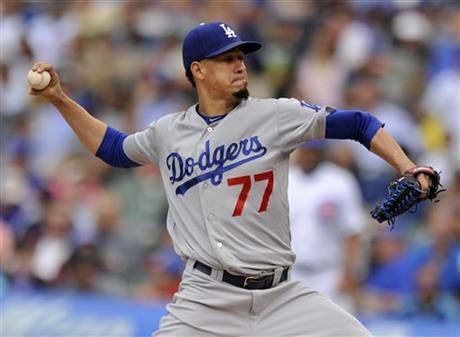 Carlos Frias was recalled from Triple-A Oklahoma City and will be in the Dodgers’ bullpen today. 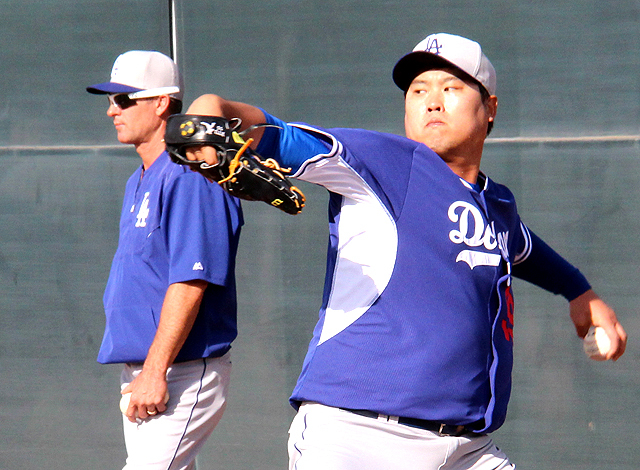 Hyun-Jin Ryu was added to the active roster, as expected, so he could start tonight’s game. Luis Avilan was optioned to Triple-A Oklahoma City and outfielder Will Venable was designated for assignment. The Dodgers needed bullpen help for today after eight relievers threw a combined 186 pitches in last night’s 14-inning loss to the Baltimore Orioles. Frias hasn’t thrown since Sunday, when he tossed 1 ⅓ innings in relief in Nashville. He threw 27 pitches in that game and hadn’t pitched in six days before that. So he should be fresh. As for everyone else, only Pedro Baez didn’t appear in yesterday’s game, and he had appeared in each of the two games before that. The three lucky men on the Dodgers’ bench are Chase Utley, Chris Taylor and Yasmani Grandal. No word whether or not Manny Mota will be activated to pinch hit. Dodgers’ Wednesday starter remains to be determined. PITTSBURGH — The Dodgers still haven’t identified which pitcher will start Wednesday in Milwaukee. The front-runner would be right-hander Carlos Frias, who is still listed as the starting pitcher for Triple-A Oklahoma City on Monday, but for a minor procedural problem. He was optioned to Triple-A June 21 and therefore isn’t eligible to be recalled until July 1 per MLB rules. An exception can be made when another player is injured, so any lingering hangnails between now and Wednesday could vault Frias into the Dodgers’ rotation. Frias has thrown 36 ⅔ innings at Double-A and Triple-A this season since returning from an oblique injury at the start of the season. He has a combined 3.93 ERA across a mix of good and bad outings. The last one was good: 5 ⅓ innings of shutout ball Wednesday in Oklahoma City against Round Rock. Frias would be pitching with an extra two days’ rest, however. Brock Stewart, who started only the third Triple-A game of his career Friday, is already lined up to start Wednesday on regular rest. The 24-year-old right-hander has performed well at Oklahoma City (six earned runs, 27 strikeouts in 18 ⅔ innings) in a small sample size. Stewart, the Dodgers’ sixth-round pick in 2014 out of Illinois State, began the year at Single-A Rancho Cucamonga. Dave Roberts didn’t rule out Stewart in his pregame scrum Sunday. He did rule out right-hander Mike Bolsinger, and previously ruled out Hyun-jin Ryu and Brandon McCarthy. Ross Stripling is out; he’ll piggyback off Ryu’s next rehab start for Oklahoma City on Tuesday. So is prospect Jose De Leon, who threw 77 pitches in 3 ⅓ innings Saturday, and Nick Tepesch, who was designated for assignment after his spot start Friday.